We tipped into the Digital Age around the year 2000, when the Internet changed from a static information platform into the interactive, Google-dominated Web 2.0 we know today. The Digital Age (aka the Information Age) has put a staggering amount of information at our fingertips, literally. According to a Google search, there are 3.5 billion Google searches a day. This number has been steadily rising from about 10,000 a day in 2000. That’s the problem with relying on the Internet as the only warehouse of knowledge. There’s a ton of information to be found online, but it’s not all fact. A lot of it is uninformed opinion posing as fact. The number of digital downloads has been steadily increasing at the Eau Claire library. Between 2014 and 2016 e-book and audiobook downloads increased 35.7 percent, music downloads increased 32.5 percent, and music streaming increased 2.1 percent. The Access Video service available at the Eau Claire library allows you to stream thousands of movies to your device. Information about creating apps, 3D printing, computer animation, creating podcasts, and more is also available through the video instructional service Lynda.com. With a library card and an Internet connection, you don’t even need to leave your house to benefit from the free digital materials offered by the library. But what if you’re part of the 27 percent of households that don’t have Internet at home? It’s hard to get information from Google if you can’t access Google in the first place. As the wealth gap widens, libraries work hard to “close the digital gap between the ‘Haves’ and ‘Have-Nots,’ ” Westby says. This is also known as creating digital inclusion, or digital equity. 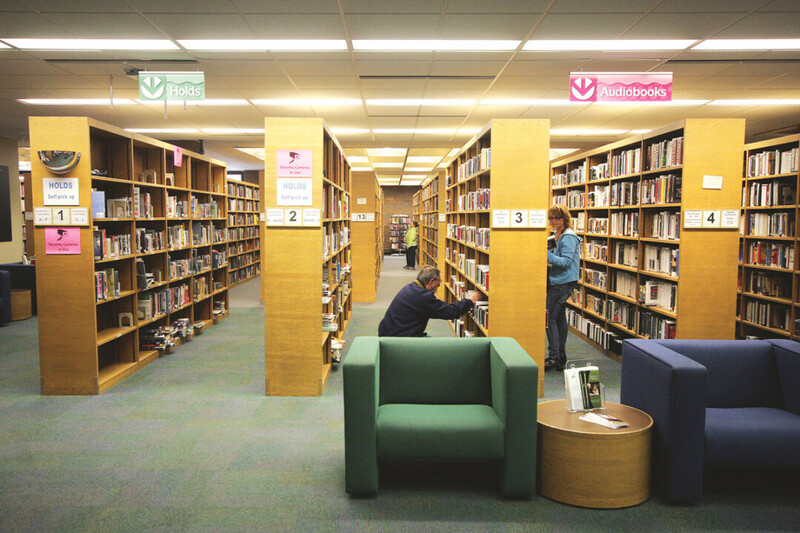 Libraries in the Chippewa Valley and across the country provide access to computers, printers, the Internet, online career resources, online GED classes, small-business classes, and more. The Eau Claire library and others offer iPads for check-out. The Menomonie Public Library and the Eau Claire library offer Wi-Fi hotspots for check-out so patrons can have Internet access for a short time. To that end, the Altoona Public Library offers a free, 30-minute, one-on-one tech appointment for cardholders to help them get familiar with a new iPad, mobile phone, or laptop, and learn how to download books and music from the library’s collection. Eau Claire’s library offers Tech Tuesdays and Tame Your Tech appointments and drop-in help. 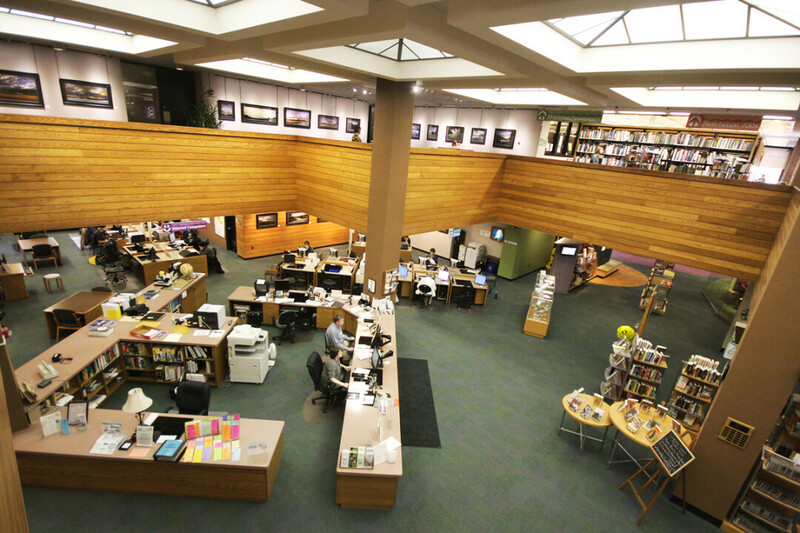 In addition to digital literacy, the Eau Claire library offers online databases and reference materials to help improve medical and health, financial, automotive, and legal literacy. The Chippewa Falls Public Library offers a free legal clinic once a month and tax help every year. This is true not just for adults, but for children of lower income families as well. As technology becomes integrated into the classroom, more activities and homework require a computer and/or Internet research. Children without computer or Internet access can quickly fall behind. And once children start to fall behind in school, they can suffer from problems ranging from low self-esteem to poverty. Children growing up in the Digital Age are growing up behind the screen and online. Parents need to know how to monitor and use technology to ensure it has the best possible impact on their children’s lives. Parents worry about exposing children to inappropriate content, keeping them entertained without rotting their brains, and helping kids navigate technology that they, the parent, may not feel comfortable with. In addition to story time and reading programs, libraries are constantly working to help parents weave technology together with traditional forms of learning. 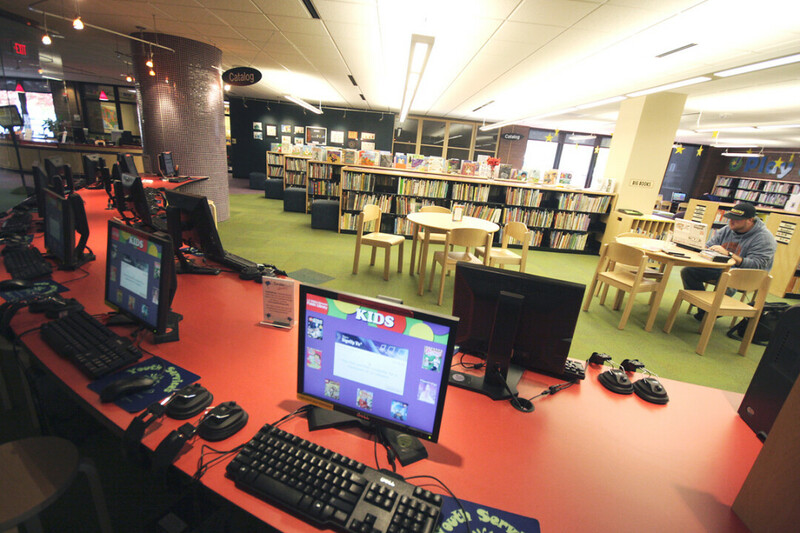 At the Eau Claire library, the library staff and the e-Parenting program offer pediatric guidelines and vetted recommendations about suitable apps for different age groups, how much screen time is too much, using a computer with your child, and other tech questions. Parents can check out an early literacy iPad loaded with age-appropriate education apps so they can test the technological waters. In addition to digital education, the library knows the value of early literacy and help parents and caregivers help their children succeed. Parents and caregivers establish a love of reading in kids essentially at birth, if not before. 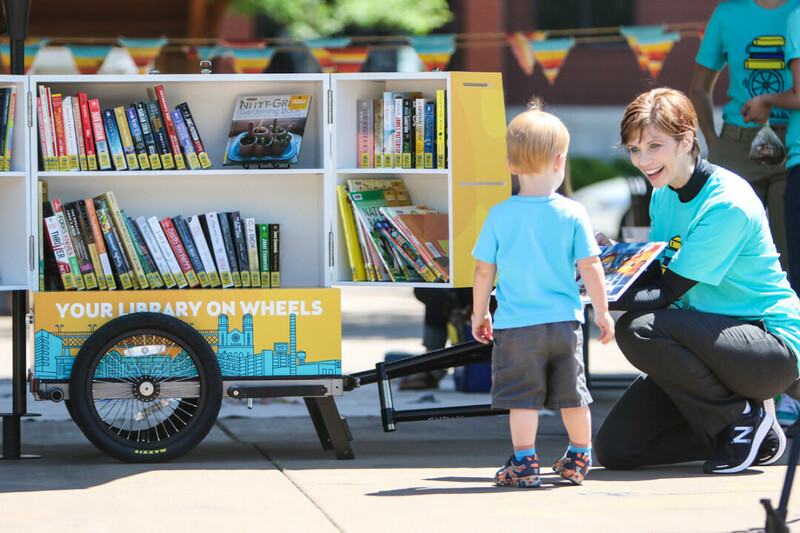 Library programs such as Books for Babies, 1,000 Books before Kindergarten, and Give a Kid a Book help them do just that. While books are no substitute for engaging with a child, they can help parents bridge the awkwardness of such subjects. And, they’re much better tools than what teens might stumble across while Googling these ideas. These books and those about overcoming bullying, creating self-confidence, and being comfortable in their own skin can teach teens how to be themselves while making the transition to adulthood. Parents can also use the library as leverage to get their kids to read more, since reading is so important to success. One day at the library I saw a girl sitting next to a stack of books, gazing at her phone. It turns out 13-year-old Kiki Shea wanted an iPhone, so her parents struck a deal with her: Read 100 books and we’ll buy you a phone. If she had to buy 100 books, the cost would have been an obstacle to her success, even if she bought them used at $1 a book. Fortunately, the library was there with thousands of books that could spark her imagination, for free. There’s a certain vibe in a library that you don’t get sitting alone in front of a screen. A library is a place of creativity and inspiration, of community and connection. Children and adults alike can wander the open stacks and discover new things, opening their minds to new ideas that can change the world. But librarians aren’t the only ones answering these questions. Moms and dads talk to other parents about what their children are reading or about a new app they found that works well at teaching numbers, or maybe they just chat while their kids become socialized in the Play and Learn area. 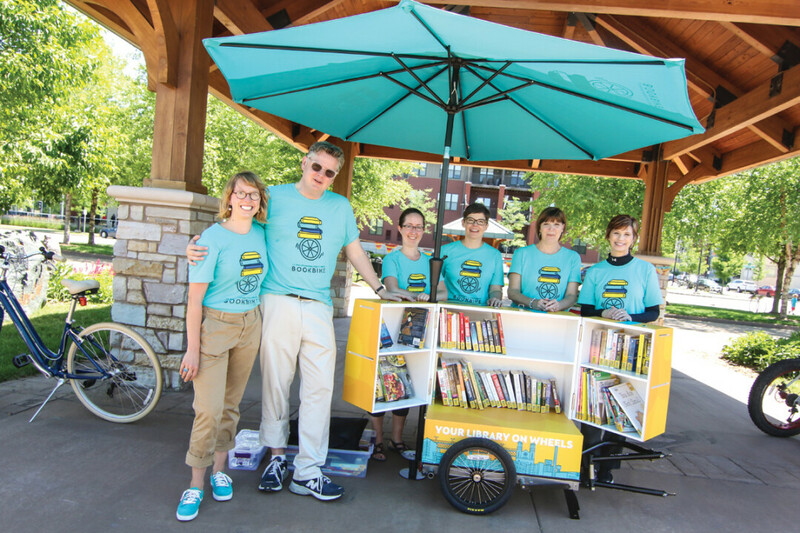 Libraries offer community connection disguised as education. Events for teens such as “Make Your Own Solar Oven,” the Library Fantasy Football League and presentations for adults, and the Summer Cinema and Camp-Read-Away summer reading programs for the whole family bring the Chippewa Valley together in ways that Google does not. The library is far from dead. It just needs its citizens to keep it healthy. So see what’s shaking at your library! You might be surprised by what you find.